It’s safe to say that it’s a massive weekend. 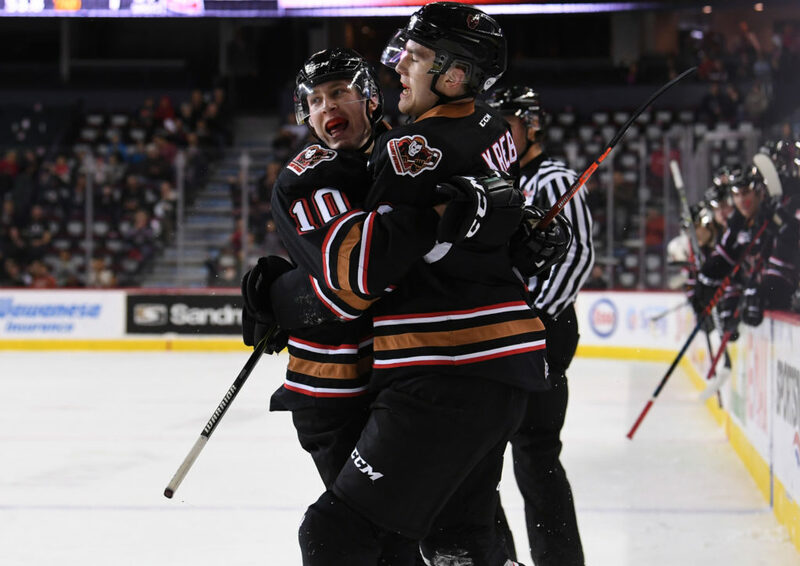 The Hitmen continue the four-game road swing Friday night in Regina to conclude the season series against the Pats, looking to get back into the win column and two big points. 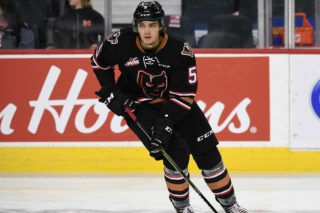 Last contest saw the Hitmen fall 5-1 to the Brandon Wheat Kings Wednesday night, in a contest that saw Brandon score three goals in under six minutes in the opening 20 minutes. 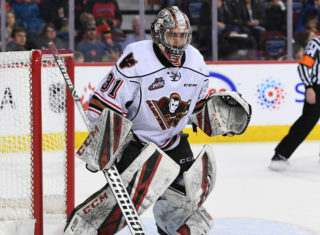 Vladislav Yeryomenko scored the lone Hitmen goal while Jack McNaughton came in relief of Carl Stankowski and ended with 17 saves. 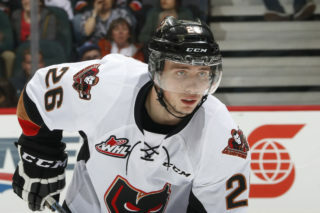 Friday’s meeting between the Hitmen and Pats is their second battle in 17 days and wraps up the four-game season series. Calgary is 2-1 against Regina having outscored the Pats by a combined 12-9. 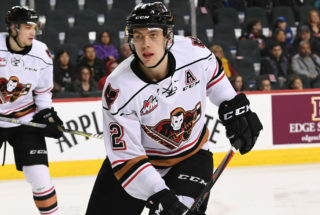 Mark Kastelic (3G, 4A) and Kaden Elder (3G, 4A) lead the Hitmen in the season series with seven points each while Riley Stotts (2G, 2A) is next with four. The tight race in the Central Division and Eastern Conference continues to heat up with an important weekend ahead of the Hitmen. With a clash against the Pats and facing off against Swift Current Saturday night, four big points are up for grabs. 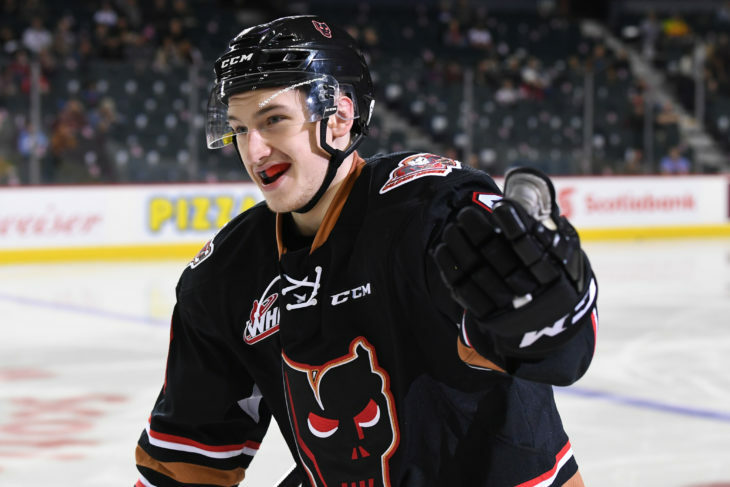 The Hitmen remain two points back of Medicine Hat for third in the Central Division with a game in hand, all in the while they are up two points on both Red Deer and Brandon for the first wildcard spot in the conference. With all the clubs they are chasing or trying to hold off in action this weekend, they know they need to take care of business. 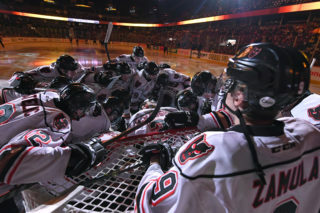 “There is no point in putting energy towards scoreboard watching,” head coach Steve Hamilton said. “You can’t control what other people or teams will do but you can control your own fate, and that’s the spot we are in right now. 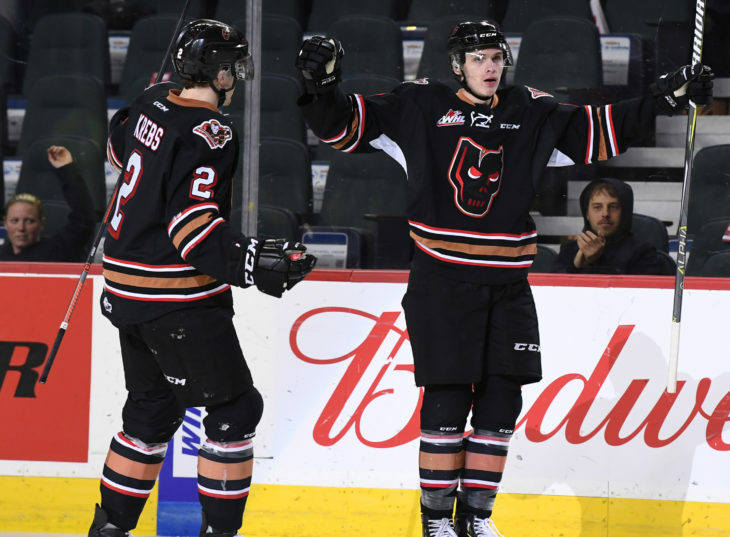 After the road trip draws to a close, the Hitmen will return home for the TELUS BE BRAVE Anti-Bullying Game on Wednesday Feb. 27, and then will kick off a three-in-three weekend to begin the month of March. Jackson van de Leest is one game shy of 100. Jack McNaughton is 48 saves away from 1,000.